September, 1st. Holidays are over and you are either catching up with hundreds of documents and unread emails, or you are getting ready for University one more time. Wait… It can get even more difficult: Some people even combine work and studies! We are aware of how extremely difficult it can be to restart again. Therefore, we have gathered some tips to help you rock the hardest month of the year. After a long period of holidays, when we have been chilling out and relaxing, we are more likely to forget important dates. Missing a deadline at work or forgetting that we have a key meeting or exam can lead to avoidable trouble. Buy a planner and make sure you note down every hand-in or appointment you have for the coming weeks. Do it even though you think you will remember for sure. Sometimes our mind plays tricks on us. Make sure you also note down the local festivities and next holidays, so that you have extra motivation when the time is approaching. -What should I have done by the end of the day/week/month? -Where do I see myself by the end of this year? Multitasking is one of the best skills an employee can have at work, but if you are trying to combine two tasks at once –i.e. work and studies-, it is best if you keep them separate. Look for some time everyday to dedicate to both, but do not mix them. Use the planner you bought after reading our first tip, and schedule your tasks throughout the day. Make sure you do not move on to a new task until you have successfully completed what you have already started. Have you ever wondered why Germans are so well-rated in business? They plan ahead and they stick to their plans. Do not improvise unless the task you are working on at the moment specifically requires that you show your creative skills. Leave that for coming up with great ideas for the weekend or after-work plans with your family and friends. -What have I done that has worked well? -What do I need to improve or change? Simply by asking yourself these questions you will have a clear answer of what has not been successful in your life lately and what you have to make an extra effort in. Moreover, it will help you saving some time on tasks that are not worth doing and also figure out new ideas and projects to keep you motivated for the new season. It is extremely important that you make time every week for a plan you are looking forward to –i.e. meeting a friend, reading the lastest bestseller, going to the cinema, cooking your favourite meal, practising sport, travelling, etc. The best way to avoid post-holiday blues is to have a “summer plan” for the weekend: As well as August, September is also a warm month, so you can still enjoy the beach, some beautiful sunsets and a drink on a terrace. 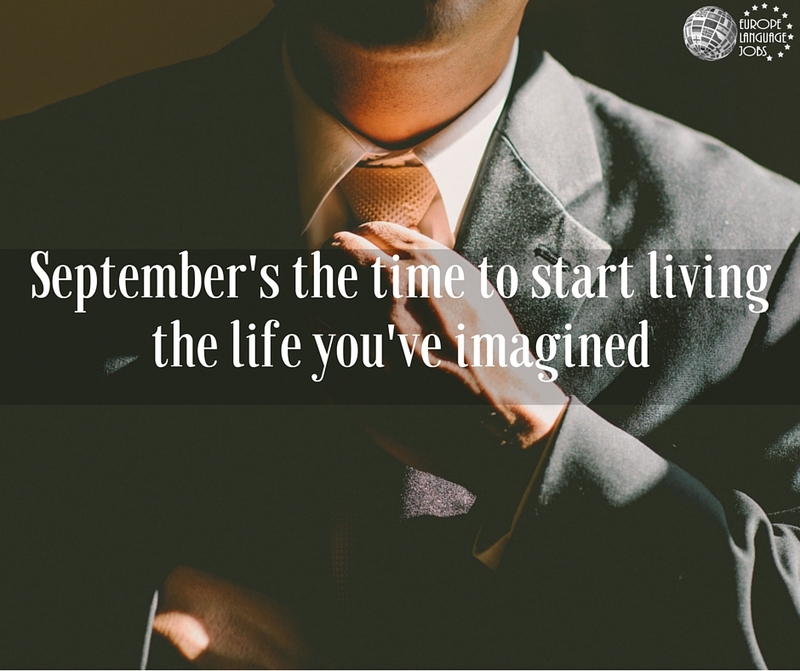 As stated at the beginning of this post, September is the most difficult month. Sunny and stress free August is gone and now we have to start all over again. Therefore, it is absolutely necessary that you get your beauty sleep every night so that you are prepared and focused for the new tasks and exciting projects that you are going to start during the last quarter of the year. We can assure you that will have a great September if you follow our advice!